URBAN LIVING AT WESTGATE'S QUARTER CONDOMINIUM. 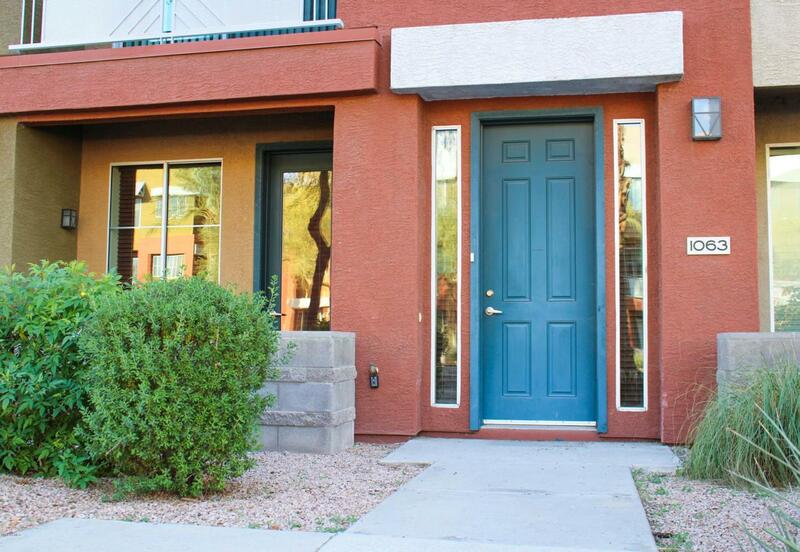 GORGEROUS 3 BEDROOM CONDO WITH TILE AND CARPET THROUGHOUT. OPEN KITCHEN WITH STAINLESS STEEL APPLIANCES, SLAB GRANITE COUNTERTOPS, UPGRADED CABINETS, AND LARGE CENTER ISLAND. GREAT ROOM FEATURES TWO TONE, PAINT, FIREPLACE, AND BALCONY. BEDROOM WITH PATIO AND POWDER ROOM ON 1ST FLOOR, MASTER WITH WALK IN CLOSET AND ADDITIONAL BEDROOM WITH WALK IN CLOSET ON 3RD LEVEL. THE QUARTERS OFFERS AN AMAZING CLUB HOUSE, WORKOUT CENTER, AND RESORT LIKE POOL! WALKING DISTANCE TO UOP STADIUM, JOBING.COM ARENA, AND EVERYTHING ELSE WESTGATE CITY CENTER HAS TO OFFER. CLOSE TO LOOP 101 AND I-10 FREEWAY. Listing courtesy of Swallows & Associates Realty. © 2019 Arizona Regional Multiple Listing Service, Inc. All rights reserved. All information should be verified by the recipient and none is guaranteed as accurate by ARMLS. The ARMLS logo indicates a property listed by a real estate brokerage other than Conway Real Estate. Data last updated 2019-04-22T09:10:31.307. © 2019 Prescott Area Association of Realtors, Inc. All rights reserved. IDX information is provided exclusively for consumers' personal, non-commercial use and may not be used for any purpose other than to identify prospective properties consumers may be interested in purchasing. Information is deemed reliable but is not guaranteed accurate by the MLS or Conway Real Estate. Data last updated: 2019-04-22T08:51:32.58.